act, his wasn’t and that’s why a film is being made. When it comes to Hanks, he’s perfect. He has the look and there’s no doubt he’ll be able to perform as or as close as he can get to Rogers. It’s hard to imagine a better casting for this role. Shockingly, Hanks hasn’t been nominated for an Oscar since 2001 for Cast Away. So it wouldn’t be all that surprising to see his name on the ballot following his performance in this film, especially because of how beloved Mr. Rogers was. The official synopsis for the film follows. What do you think? Is Hanks perfect or can you think of someone better? Are you excited for this biopic? 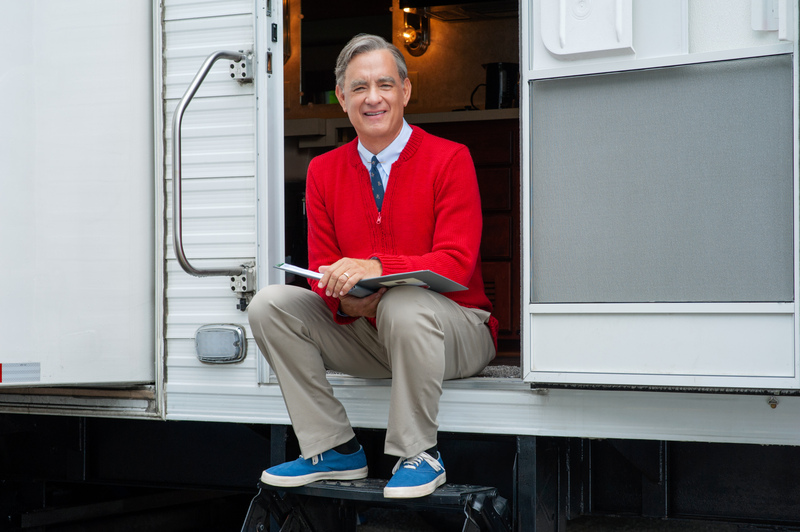 Also starring Matthew Rhys and Chris Cooper, Heller’s untitled Mr. Rogers biopic will be released on October 18th, 2019.